When a gentle touch of island beauty will dazzle your look, try these refined drop earrings from the Island Rains collection by Tacori. The deep blue hue of London blue topaz radiates from a frame of sterling silver that has been beautifully engraved with a crescent motif, and they dangle elegantly from French hooks. 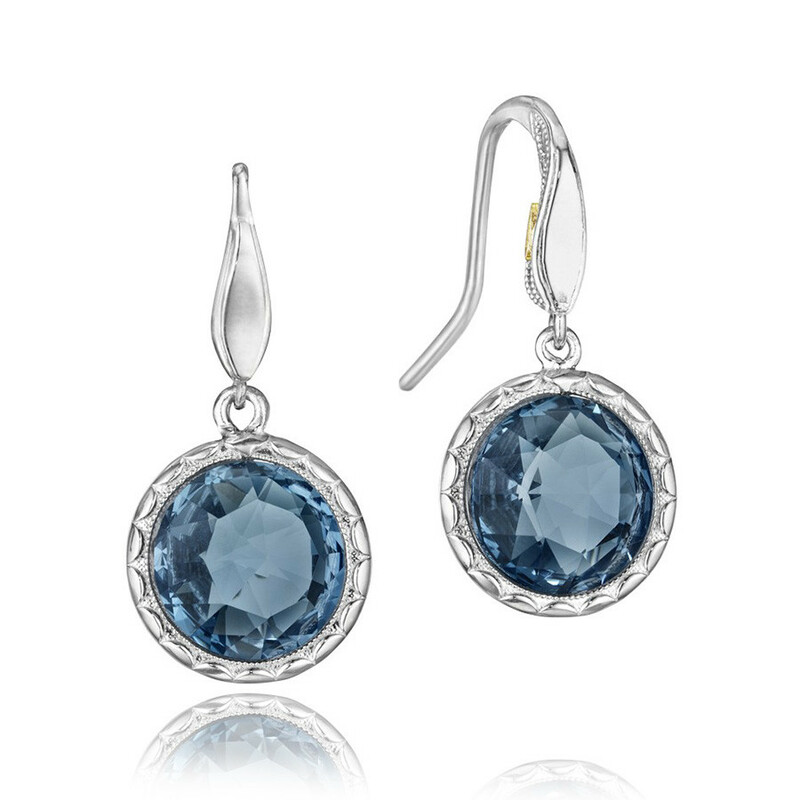 This captivating set of Tacori drop earrings will pop some refreshing color into any style.